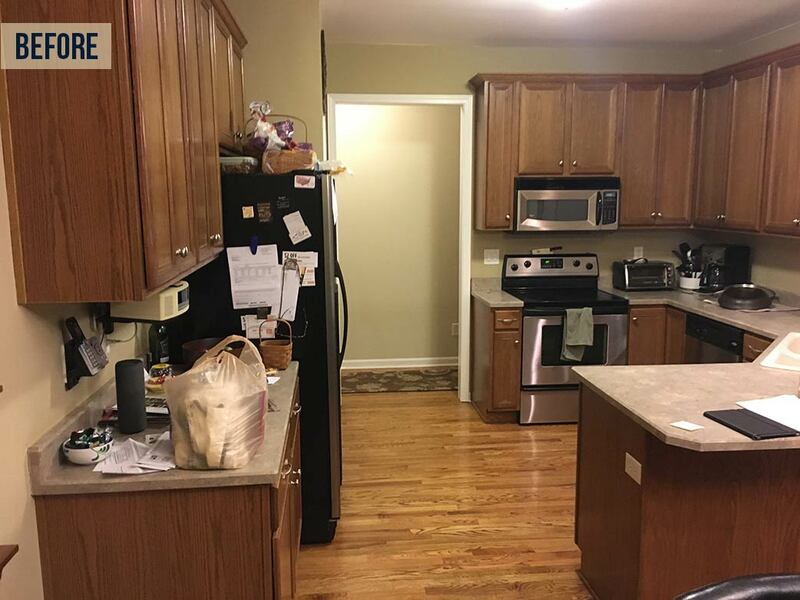 Sometimes the best way to appreciate the impact of a remodel is to compare the before and after photos. 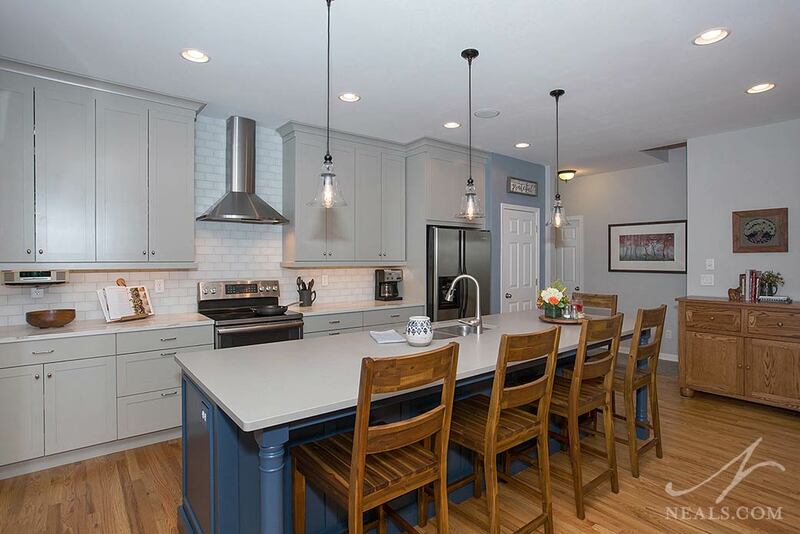 We enjoy taking a look back at the kitchen transformations we've made throughout the Greater Cincinnati area. Here are five of our favorite before & after kitchens that we hope you'll enjoy as well. 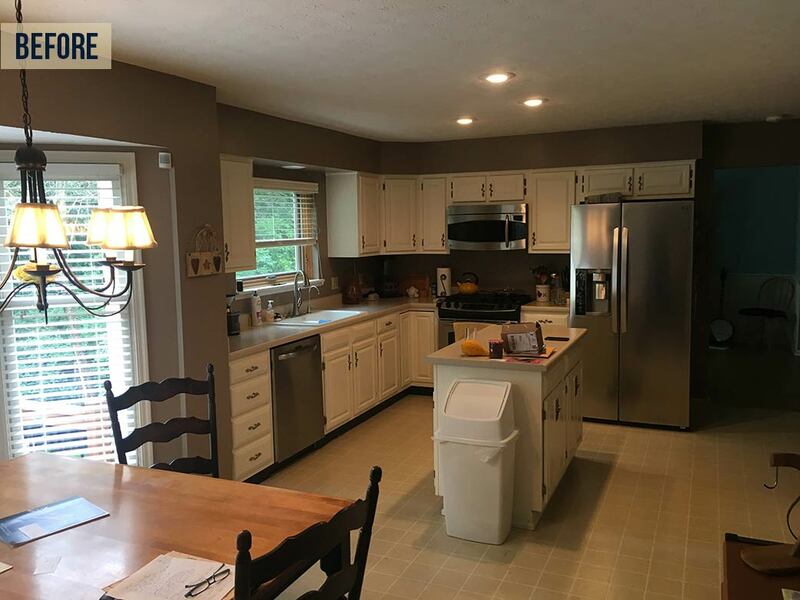 A picture window and useful island in this Sharonville kitchen were great features, but the tired-looking cabinets and heavy traditional details were due for an update. Sticking with white cabinets, but introducing a richly stained wood counter and re-shaped floor plan created a refreshed kitchen with a more inviting, transitional design. A key feature of the new kitchen is a readjustment of the cabinetry layout, which brings the major appliances closer to the central working zone. Crown molding applied to the cabinetry elevates the kitchen to match the grandeur of the window. 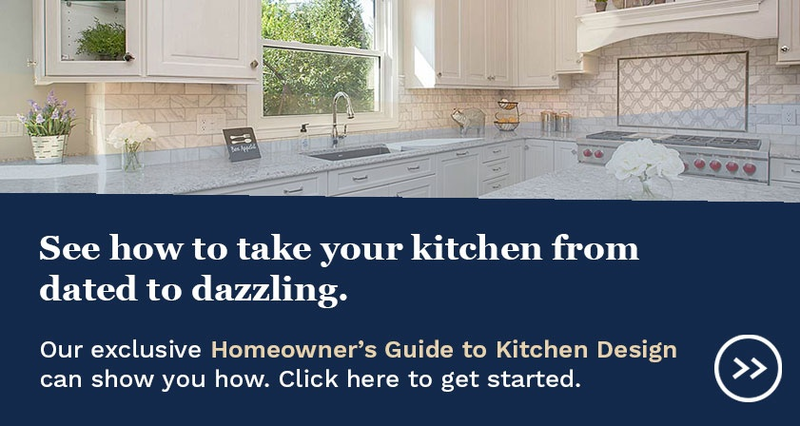 As families have adjusted the way they interact with the kitchen, we've seen a greater need to open the space up and use more of the available space for the kitchen. 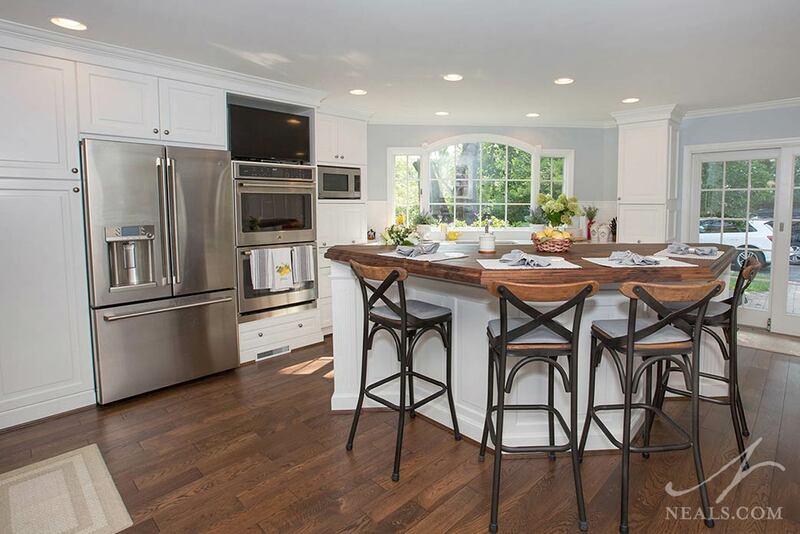 In this Mason kitchen remodel, a divided kitchen and breakfast area were combined to create a larger kitchen. This allowed for the creation of an ample island with seating where the striking blue accent color adds a playful quality to the otherwise neutral space. Additionally, the walls around the kitchen were redesigned, with doors and archways opened up to create a more open floor plan on the home's first floor. More images from this remodel can be viewed here. 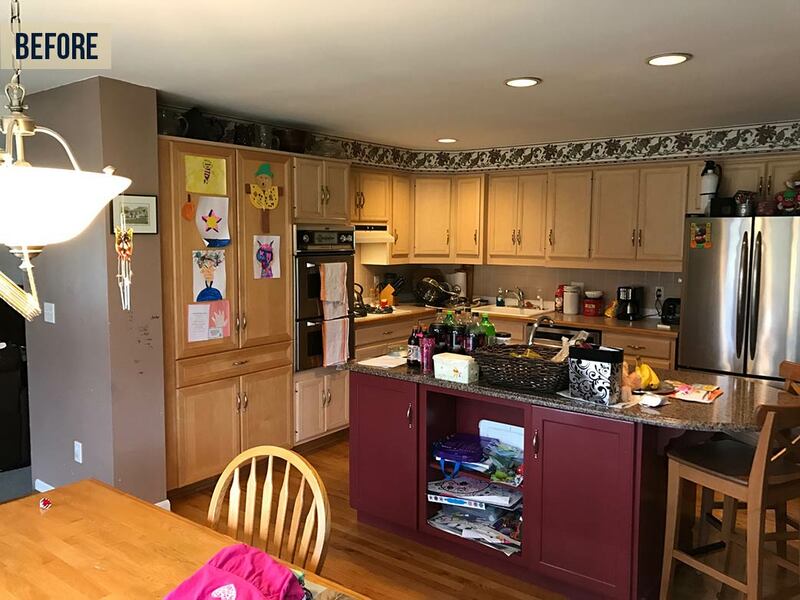 This Montgomery kitchen remodel is a nice example of how standard "galley" style layout, with the cabinets and appliances lined up on opposite walls, can be adjusted to create a new space without needing to add more walls. The first change was to remove the separate kitchen table and accommodate more seating with a large peninsula instead. 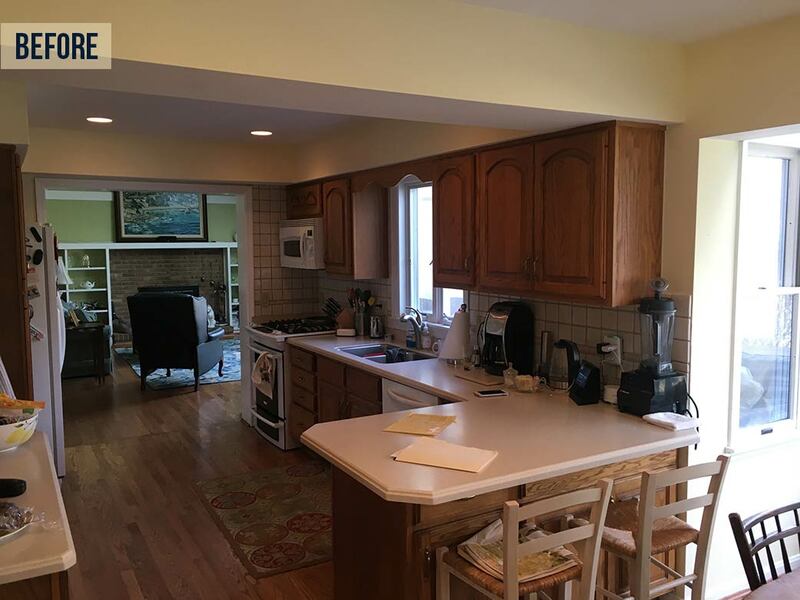 This change also extends the kitchen's main counter space. The range was moved to sit next to the fridge, across from the sink, creating a more efficient working triangle. Beyond these functional changes, the style of the cabinetry was changed to a white traditional style that lightens the space and upgrades the kitchen's style to a more timeless look. 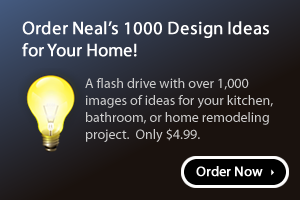 Click here to see more photos from this remodeling project. 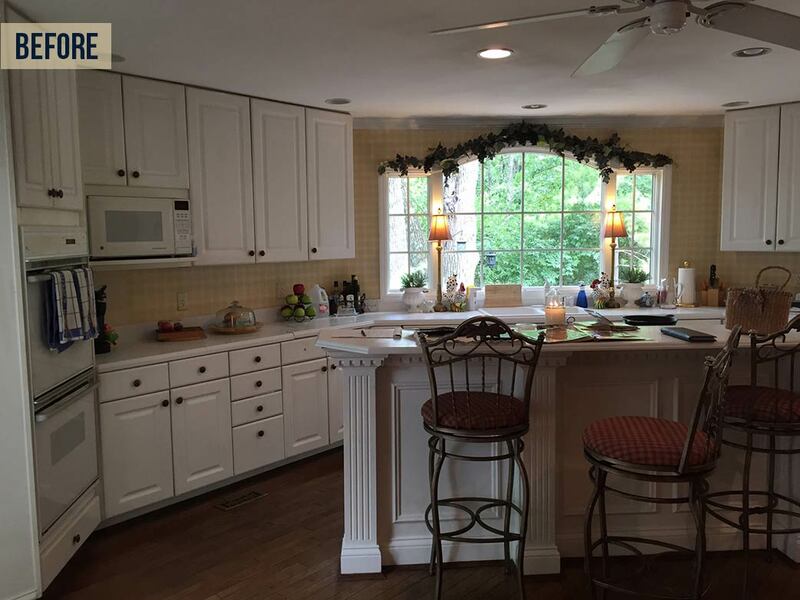 A relatively standard kitchen, originally, this West Chester remodel took the small attempt at a country chic style and literally expanded it. Opening the kitchen entirely to an underused dining room made it possible to create a cohesive space that inject this entire wing of the house with a modern take on country-inspired design. 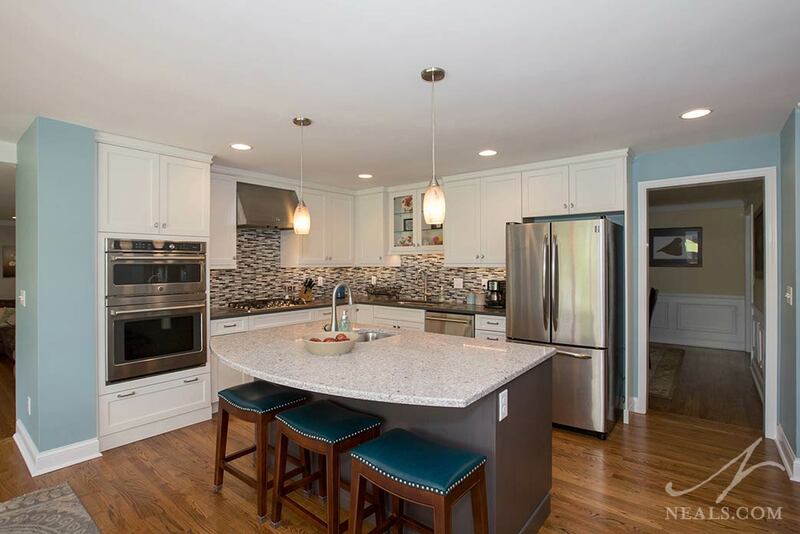 Colorful and eye-catching granite is matched with classic butcher block for the counters. The new white cabinetry is completed with classic cup pulls and the farmhouse sink completes the look. Contemporary farmhouse pendant lights were used to add additional styling. At the back, a barn door and industrial-style shelving add more casual charm. To see more photos from this remodeling project, click here. 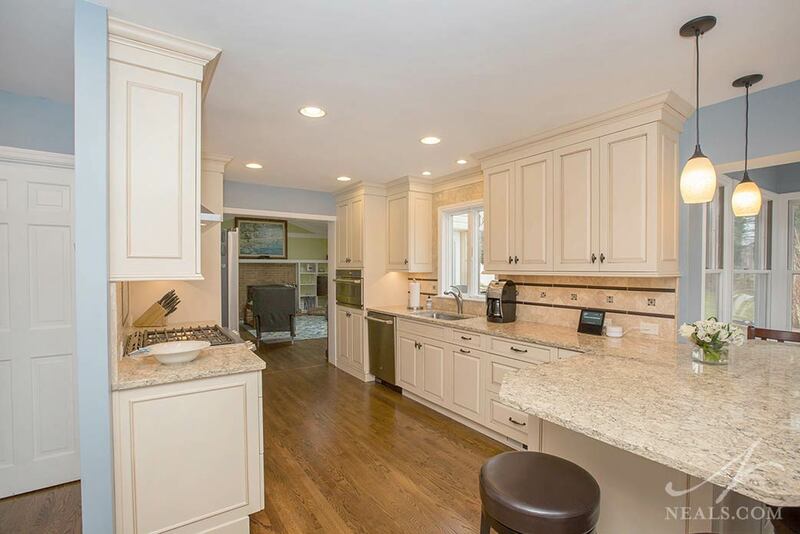 The kitchen in this Montgomery home was suffering from an identity problem. Without a cohesive design, and with an island that wasn't working for their needs, this kitchen design was taken back to square one. For the most part, the layout of the kitchen was functioning well. Increasing the space for the cooktop and offloading more storage space to the island were the major changes. It's the style, though, that changes this space. Crisp white cabinets accented with a modern glass tile backsplash and stainless steel appliances give the kitchen a transitional design. 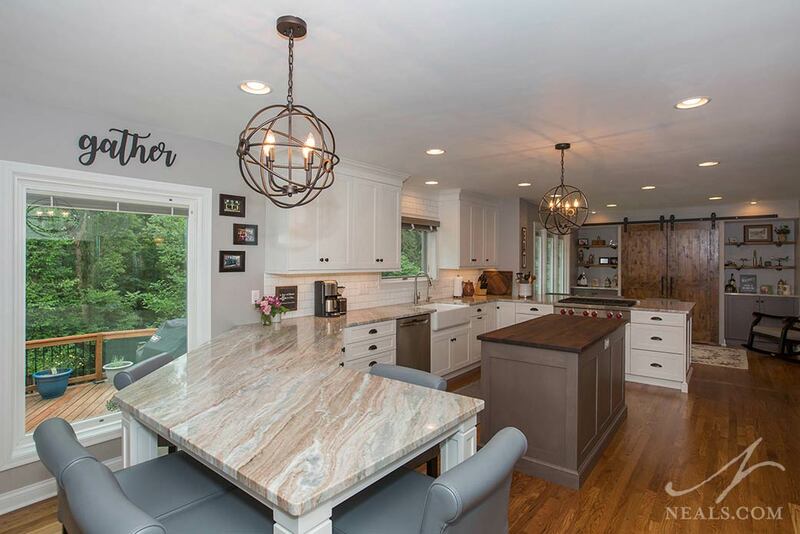 Similar to the way the island was a different style in the old kitchen, the new island swaps colors, with gray cabinets and a white-based counter. The result is an element that looks intentionally different rather than out of place. Click here to see more photos from this home remodel.